It’s four o’clock in the morning. 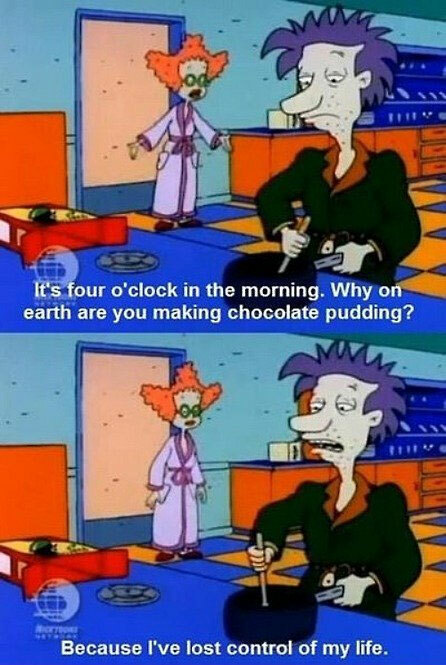 Why on earth are you making chocolate pudding? Because I’ve lost control of my life. Created about 6 yrs, 9 mths ago (July 18, 2012). Updated about 6 yrs, 9 mths ago (July 18, 2012).